Hi. 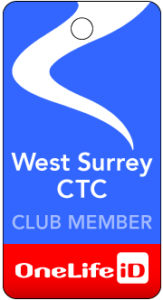 I’m one of the organisers of the Surrey Cycle Show (Sunday 29 Oct), and I’ve just stumbled on this thread. Yes, entry is most definitely free! Our exhibitors include Specialized, Cervélo, Orange, Whyte, Cube, Brompton, Frog, Mavic, Enigma and Endura – alongside smaller local companies offering original designs and bespoke creations. The show is an opportunity to talk to experts, seek advice from physios, snap up some bargains, try roller racing, chat to local cycle clubs – or just enjoy coffee and cake in the vélo café! We have also arranged for the British Transport Police to be at the show from 11am-4pm, offering free security bike marking. We hope to see some of you there. Do let me know if you have any queries. More than likely, William. The website doesn’t really tell one very much, other than which companies might / will be present flogging their wares. Is it free entry? I can’t see anything about prices on the website?